THE BRITISH RAILWAY STORIES LTD: "Thompson D Class 4-4-0, The Morpeth"
Finally made a start on my Hornby D49 conversion. 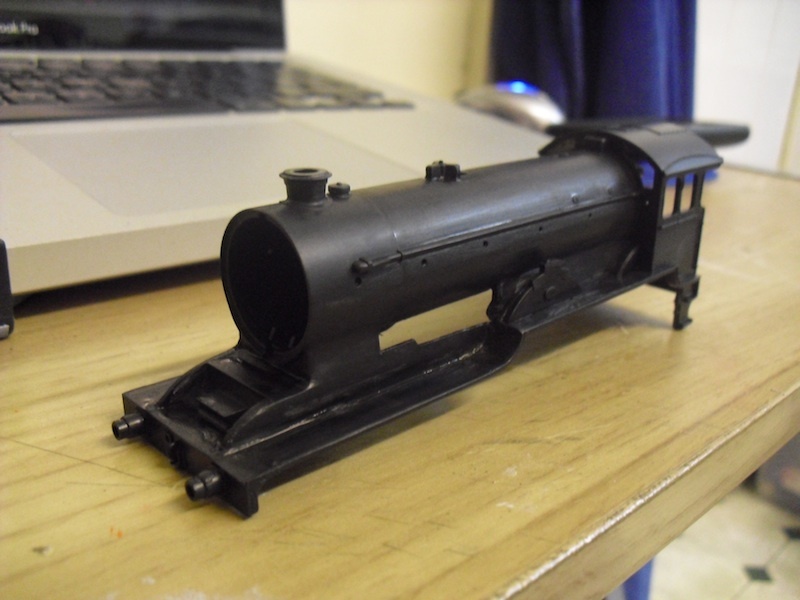 During the war Thompson rebuilt The Morpeth with two inside cylinders of the Director (D11) type, and it is this locomotive I am portraying with my modifications. 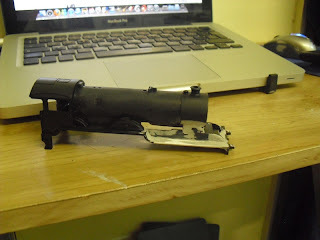 Two spare D49 bodyshells were sourced off Ebay, and one was cut along the front portion of its running plate, up to the front of the leading splasher, and and at the bufferbeam end for the curved running plate section. This was then mounted further back, forming the curved section of running plate ahead of the leading splasher which the prototype had so prominently. 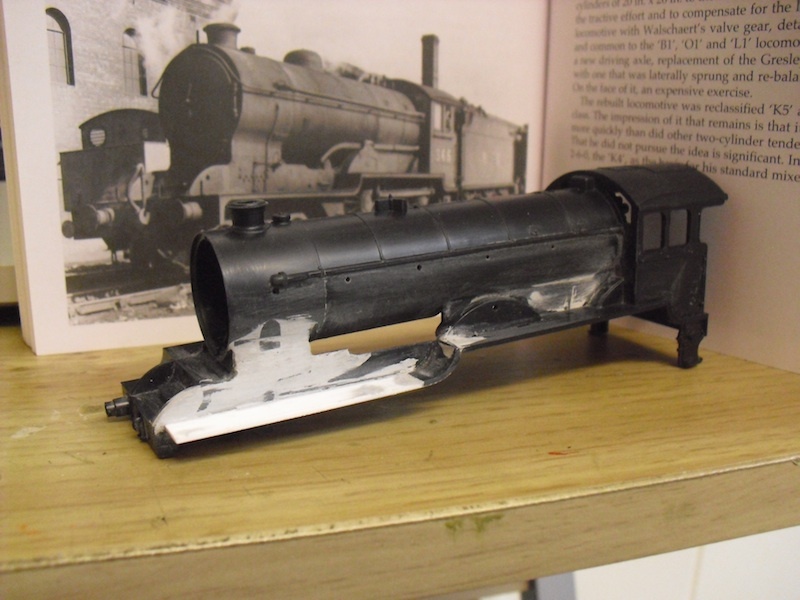 ...and then painted black after Humbrol plastic filler had been applied and sanded down several times, to see the overall finish. Note I also made for each side a representation of the frames which are seen more prominently on this inside cylindered locomotive. 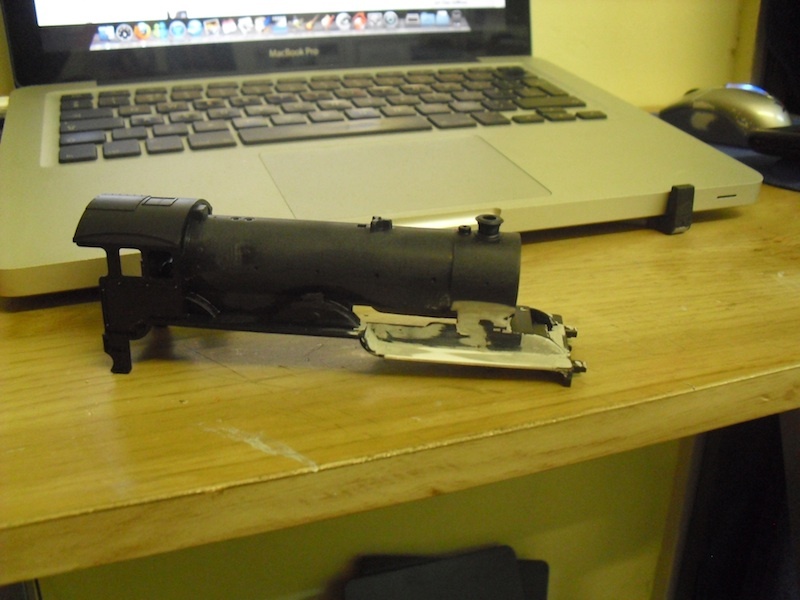 This was done with very thin plasticard I had lying around, cut to shape and poly-cemented into place behind the running plate (but remember to leave enough of a gap for the chassis and motor arrangement to fit between them).